Friday January 31 2014, 8:00 pm. Harvey Diamond, piano; Joe Hunt, drums; Nick Lyons, saxophone; Jon Dreyer, bass. Saturday February 1 2014, 8:00 pm. 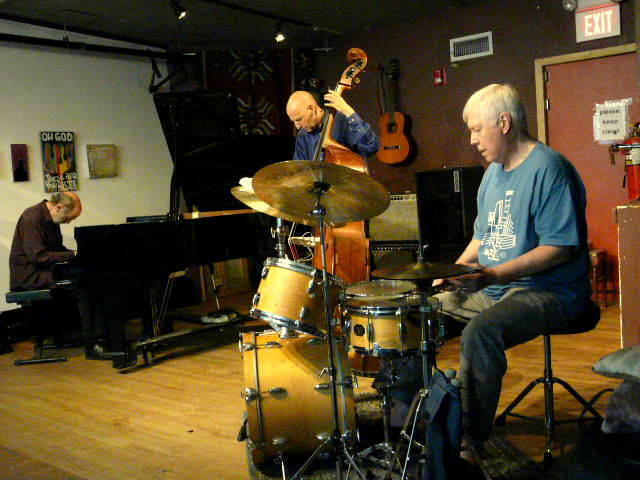 Harvey Diamond, piano; Joe Hunt, drums; Bronek Suchanek, bass. Both performances at the New School of Music, 25 Lowell St, Cambridge MA. Free parking at the school. There is also parking in the Mount Auburn Hospital lot around the corner. About a 15 minute walk from the Red Line at Harvard Square and on the 71 and 73 MBTA bus lines.